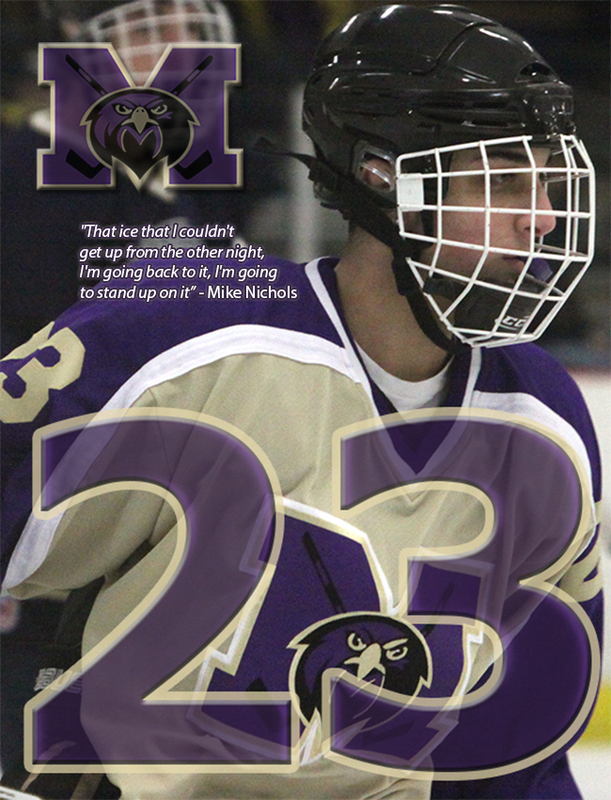 The Monroe Falcons Hockey Team and community would like to thank everyone for their overwhelming prayers and support for our Senior Forward, Michael Nichols. Michael suffered a serious neck injury after a head-on collision with the boards during our game versus Vernon High School on Saturday, January 4, 2014. He was taken by helicopter to the hospital where they identified a fracture to his C5 vertebrae. We know and appreciate that everyone is looking for the most up-to-date information on his status. We will use this page to provide any and all relevant information regarding Michael, including all fundraising efforts. During this difficult time, please direct all of your attention to praying for and supporting Michael and the Nichols family. Please refrain from placing any blame, jumping to conclusions and provide the family with some privacy. GiveForward is an online fundraising website and one of the easiest ways to raise money for a loved one in need. All funds received through GiveForward will go directly to the Nichols Family. For each sign-up of their 6 hour behind-the-wheel course, $10 ($20 for MTHS) will be donated to Mike Nichols Family. Moving forward, please use the following social media resources for the most up to date information regarding Michael and his recovery.